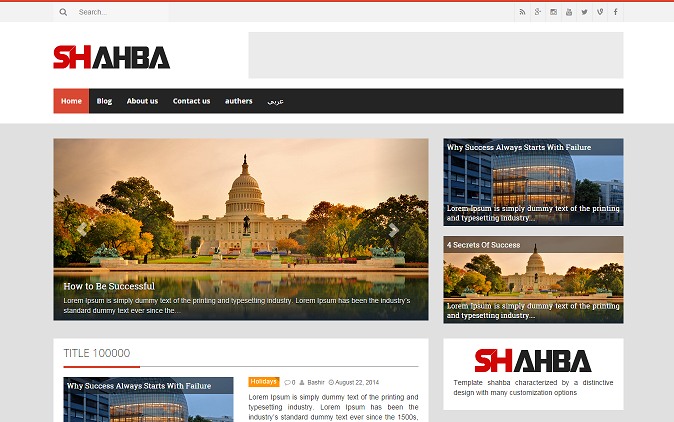 We are pleased to introduce our first product “Shaba Theme” as free !! which is characterized by a distinctive design and fast and safe performance as well as many customization options. We offer beautiful, fashionable designs built with the latest design patterns and responsive with tablet and mobile devices. Featuring our software to give the best user experience in terms of usability and the ability to customization and ease of use as well as for high performance and secure. We are doing our bests to provide technical support and answer our customer inquiries within 48 hours.